Top German reporter at the liberal mag Der Spiegel was fired last week. Claas Relotius at Germany’s far left Der Spiegel magazine fabricated his stories. He got caught after he trashed Trump supporters in a recent piece. It was a completely made up story. 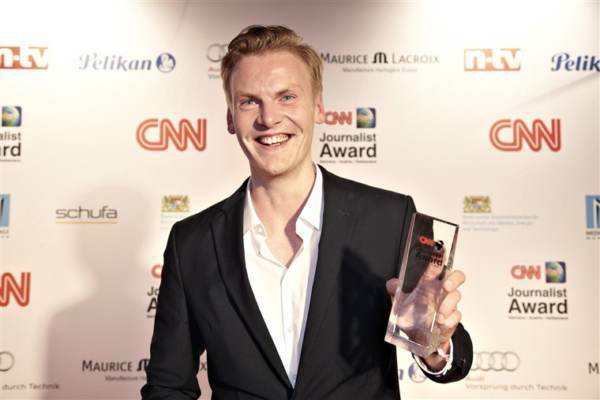 Claas Relotius won CNN’s journalist of the year award in 2014. Claas admitted to fabricating interviews and sources in at least 14 articles. CNN gave him their top journalist award to this Fake News reporter in 2014. Claas Relotius is being sued by Der Speigel for embezzling donations away from Syrian street children. Influential German news weekly Der Spiegel said Sunday it would file a criminal complaint against a disgraced reporter after it emerged he may have embezzled donations intended for Syrian street children. Claas Relotius, 33, resigned this month after admitting to making up stories and inventing protagonists in more than a dozen articles in the magazine’s print and online editions.